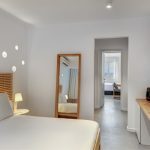 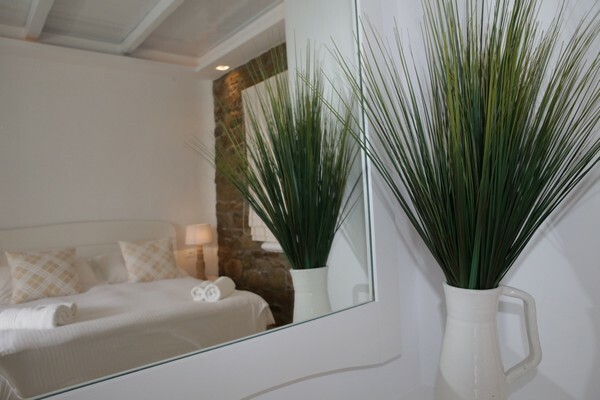 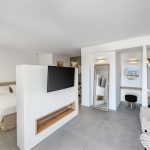 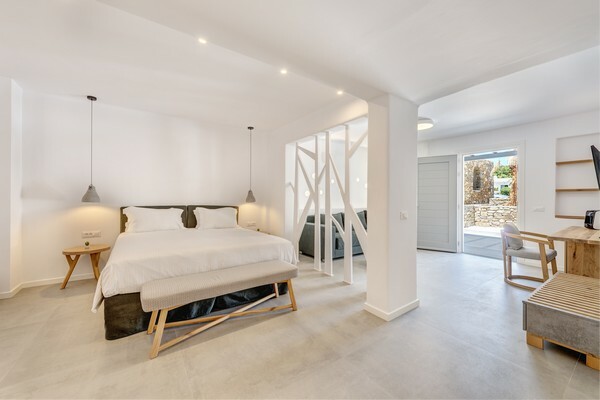 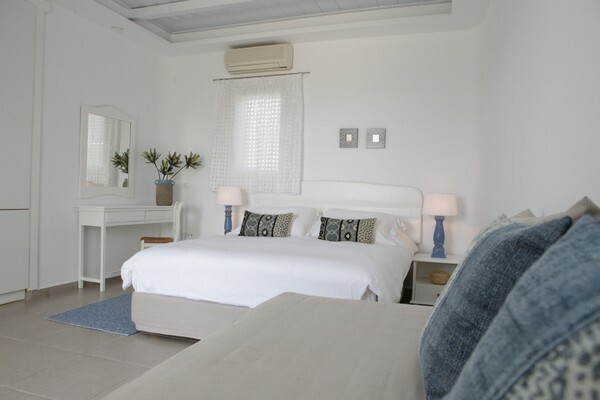 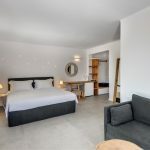 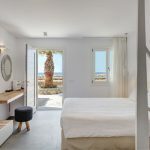 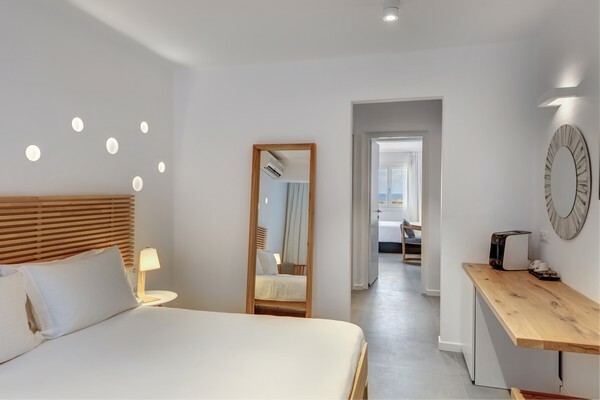 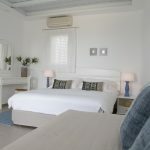 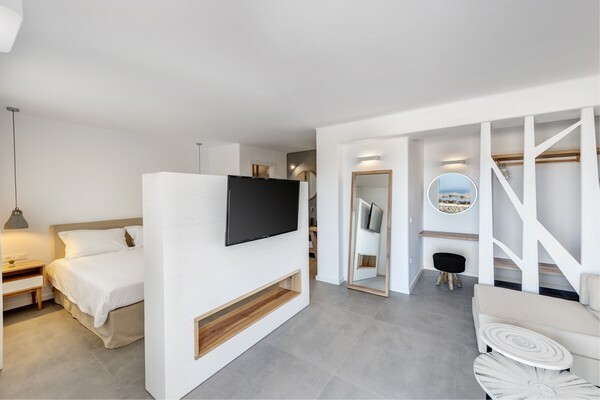 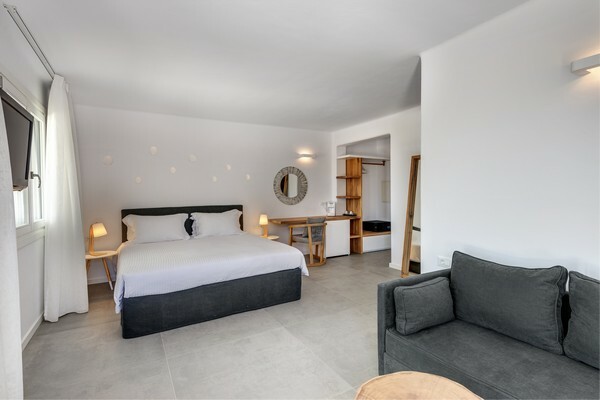 The minimalism of Cycladic culture, smooth surfaces, clean lines, and gentle colours: these are the fundamental, timeless elements of the rooms and suites which offer rich hospitality services with the guest at their heart. 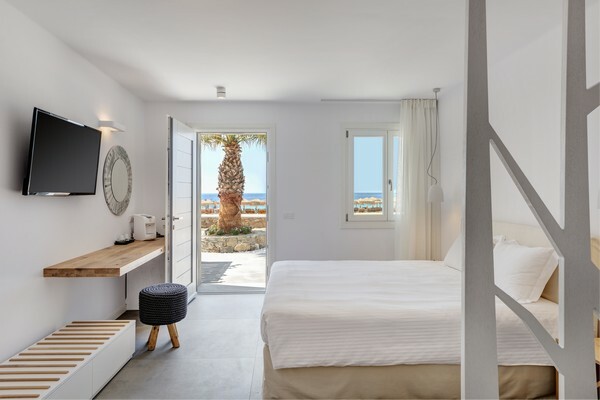 The minimalism of Cycladic culture, smooth surfaces, clean lines, and gentle colours: these are the fundamental, timeless elements of the rooms and suites which offer rich hospitality services with the guest at their heart. 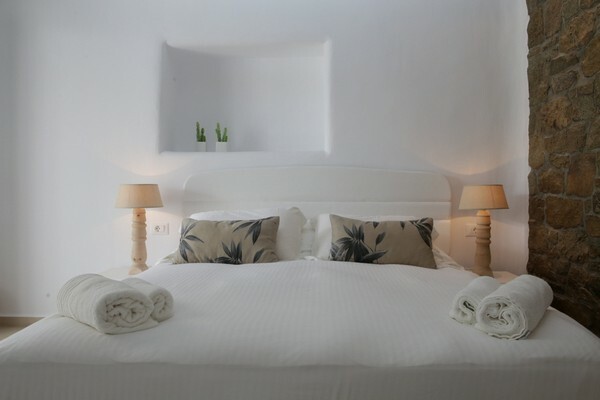 Depending on your needs, you can choose from among 20 options comprising 12 rooms and 8 suites. 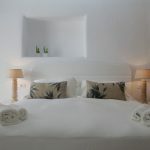 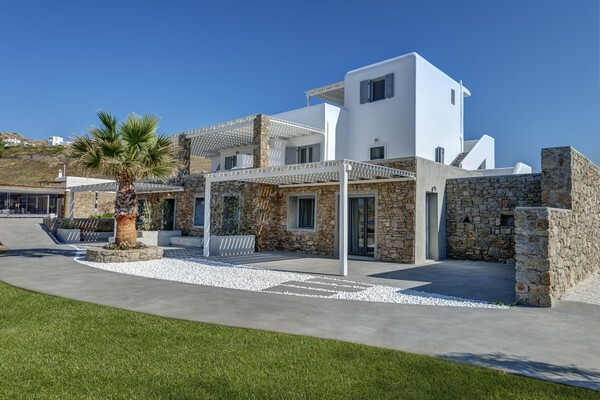 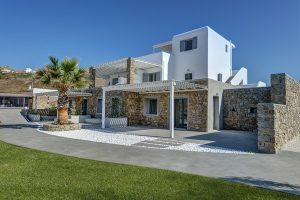 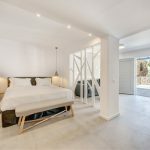 They are a mere stone’s throw from the crystal clear waters of the Aegean on Mykonos’ Elia Beach.